FORMULA BOATS SOUTH, LLC is a factory showroom outlet located on the East Coast of Florida where we can not only offer you the very best pricing on new and pre-owned Formula Boats, but the opportunity to trade in your current boat at the best residuals. We are a unique business model allowing our clients to be able to design their new Formula in great detail, and build the boat of their dreams with the help of Formula's knowledgeable design team. Our goal at Formula Boats South is for you to have the very best buying and service experience ever. Our team lives by a "Whatever It Takes" policy! Call us today to experience the Formula Boats South difference! 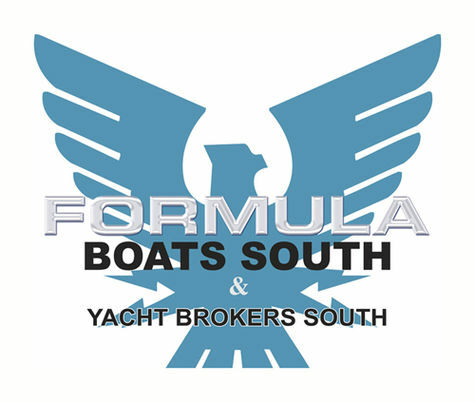 Formula Boats South, Inc. is a Retail Agent for Porter Inc., manufacturer of Thunderbird/Formula luxury power boats as well as a Mercruiser and Mercury Sales Dealer located on the West Coast of Florida. Captain Denny Pellicci has been closing & delivering Formula Boats in the South US marketing region as well as South America along with Retail Sales Consultant Scott Kern. Working directly with the factory, we are able to provide a very aggressive approach to pricing as well as authorized service centers for your convenience. Molly's Marine Service is our on site service center at Naples Boat Club where AMZIM Marine Service, Naples, is our Mercruiser and Mercury Outboard service and Diversified Yacht Service, Ft. Myers and Naples, is our Volvo Penta Rapid Response Dealer as well as Mercruiser and Mercury Outboard Serive provider. Additional Service Centers include Snook Bight Marina (a Suntex Marine location), Marine Professionals (MPI), Naples, Cool Boats, Naples, Sea Tech Marine Electronics, Naples, Felix Marine Electronics, Ft. Myers, Sneathen Corp., Cape Coral, Everest Marine, Cape Coral and Masters' Touch Marine Service, Venice area. One of a kind, Full FX painted inside and out! Painted arch, FX Graphics with Red accent! Carbon Fiber Panels on dash, shifter and wet bar dresses the interior like no other! Beautiful custom interior with Metallic upper and Zebrano upper cabinets and Wenge woodgrain flooring. Garmin 7212 GPS installed at factory build, Livorsi Electronic shifters with JPS Joy Stick control. 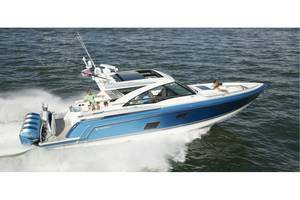 Twin Seacore Mercruiser 8.2 MAG HO Bravo 3 make her perform! Double stepped hull lets her dance on the chop! If you are looking for something unique, you found it!